Sorry for the delay in posts, but I had lost my domain name and had to make some changes, but I'm back and I think it is all working now! With a new name, new inspiration and new ideas!! I have had a couple of classes at Sparkle N Sprinkle with the Gelli Plates and everyone is just as addicted as I am! If you haven't tried one they are so much fun to create your own papers with. 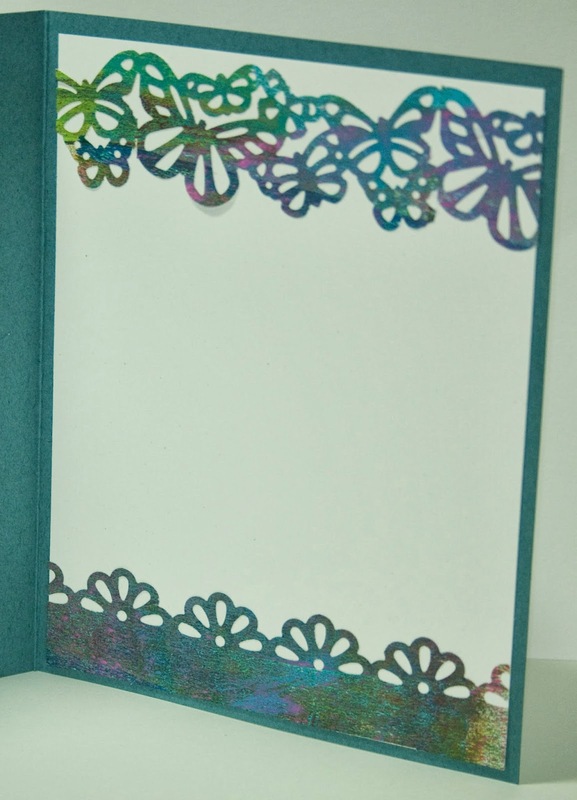 The papers can then be used for cards, scrapbooks, great for mixed media journals and so much more! You can doodle on them, stamp on them, just like any designer paper you use....only its an original one of a kind from you! 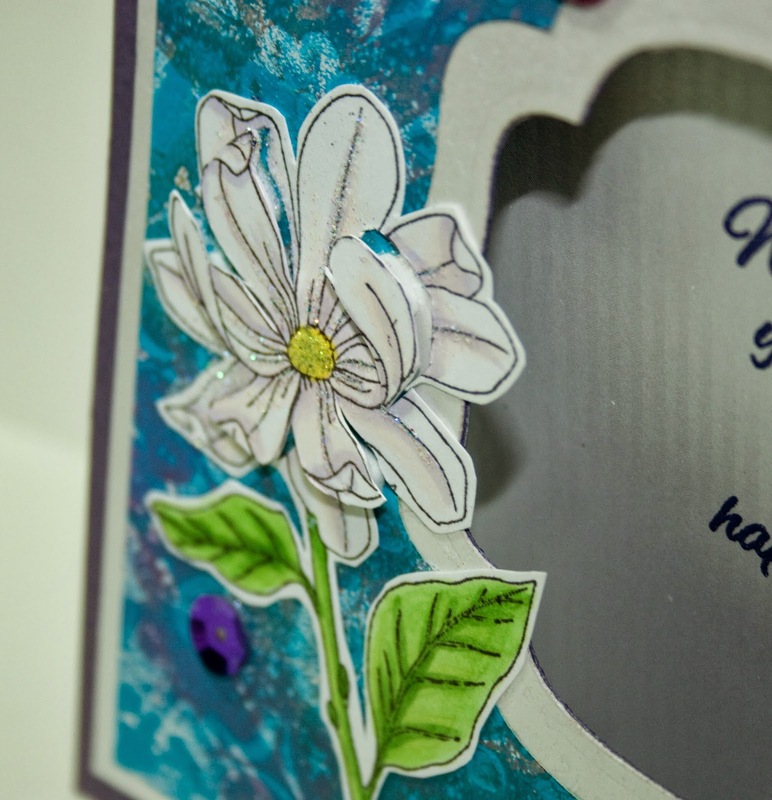 Here I used one of my prints on the background of the card. 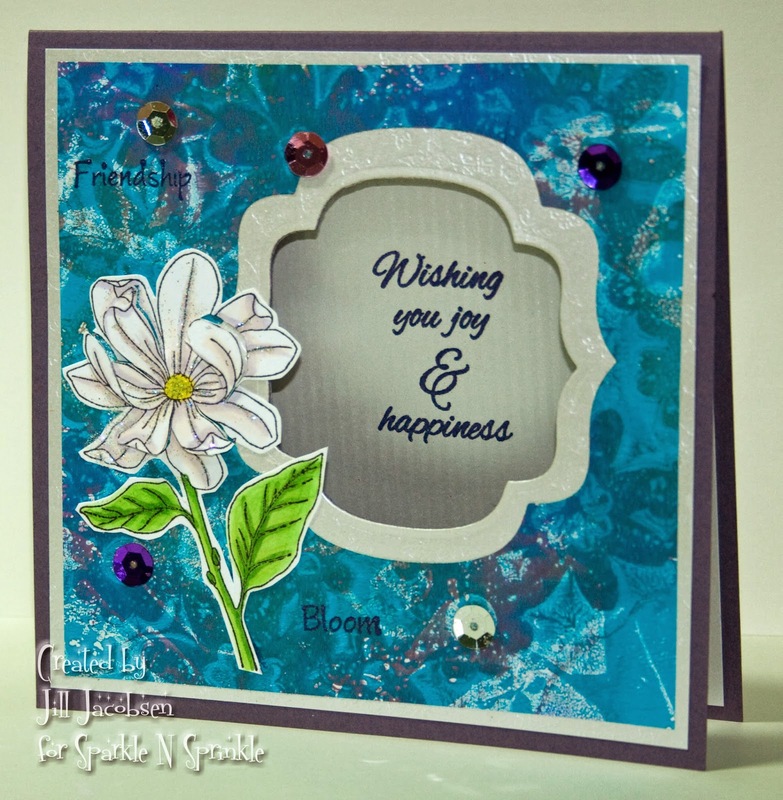 Then I stamped and colored the magnolia from Beccy Muir and attached it to the front. The petals are halfway cut out and dimensionalized to show depth (love this look) and of course a touch of Sparkling Snow glitter to finish it off. The sentiment was embossed with Concord Grape EP. Then to finish off the card I used some sequins on the front, they have become quite popular and the more bling the better!! Here is my second card using just the scrap piece of paper that I cleaned my brayer on...I wasn't sure of the colors or if it would look good, but I really liked the way it came out! 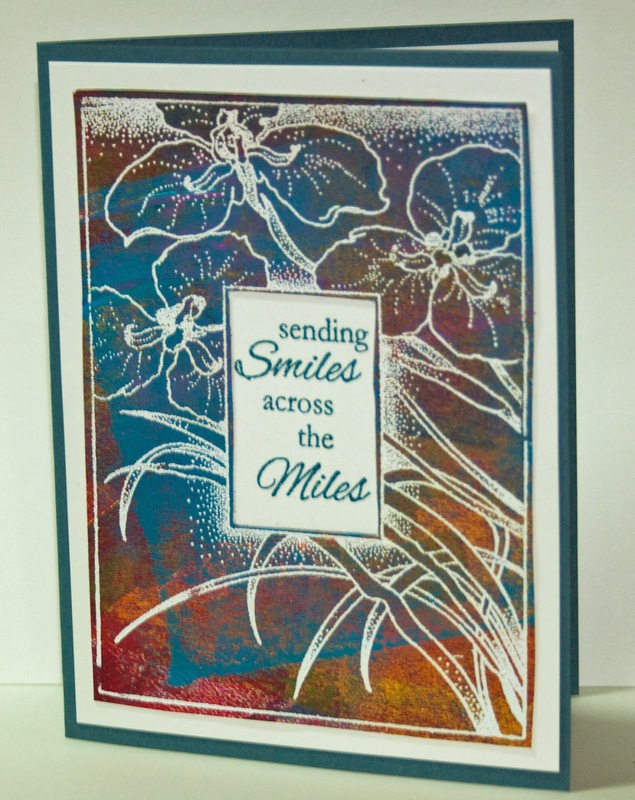 I used the Iris Frame stamp set from Beccy and embossed with White Detail. I cut out the window in the middle and embossed the sentiment with Mediterranean EP. Then on the inside I used the scraps and did a couple of border punches. Thanks for stopping by and sharing in my inspirations and playing! 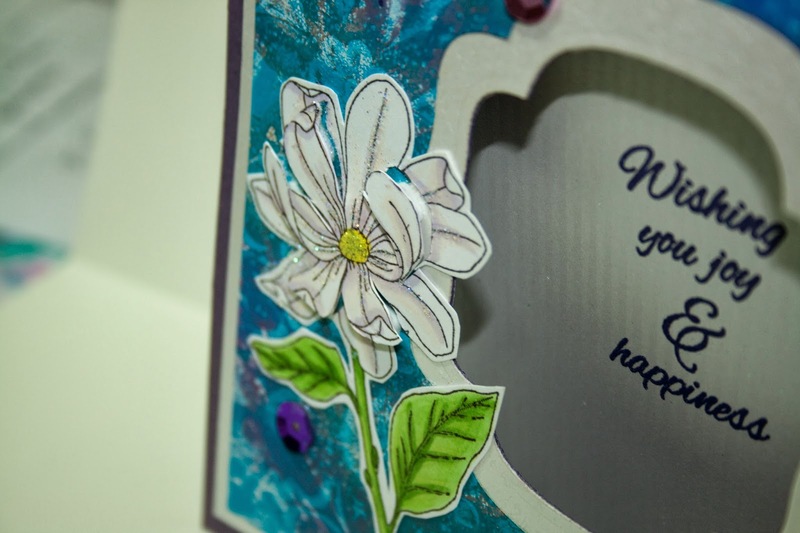 Have fun stamping something today!